When I first started teaching, the formal essay seemed like such a beast. 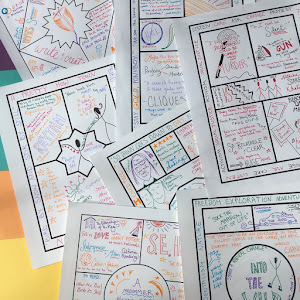 How would I ever teach all my students to write a good paper when what I really wanted was to teach them to be creative? The 5 paragraph essay (ew) felt like such a time drain. We had plays to produce! Projects with partner classrooms across the ocean to work on! Electronic portfolios to design! Poetry to slam! 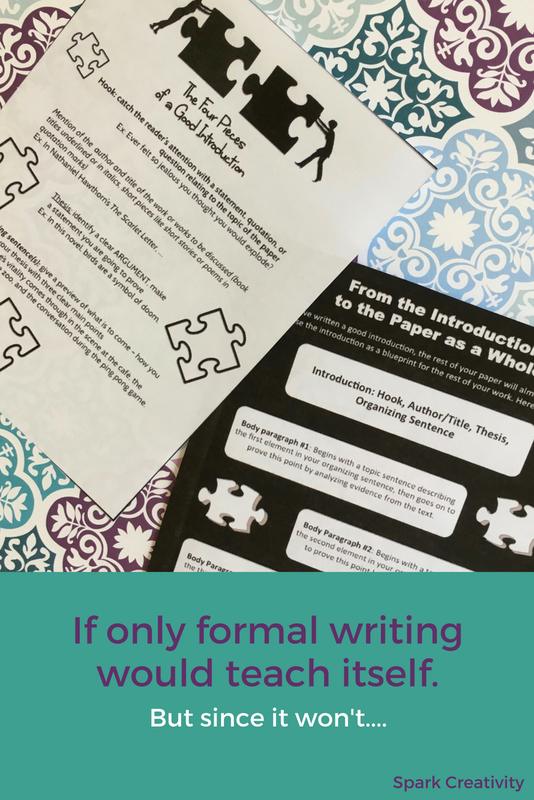 And yet, formal writing was a skill I knew my students needed. Just about every profession calls for the ability to write clearly and well. Still, I didn't want to spend the entire year on practice essays. And I didn't want to spend all my free time commenting. So I developed a system. It focuses on two important parts of the formal essay: the introduction, and the quotation sandwich. Today I'm going to focus on the introduction, because it all starts there. 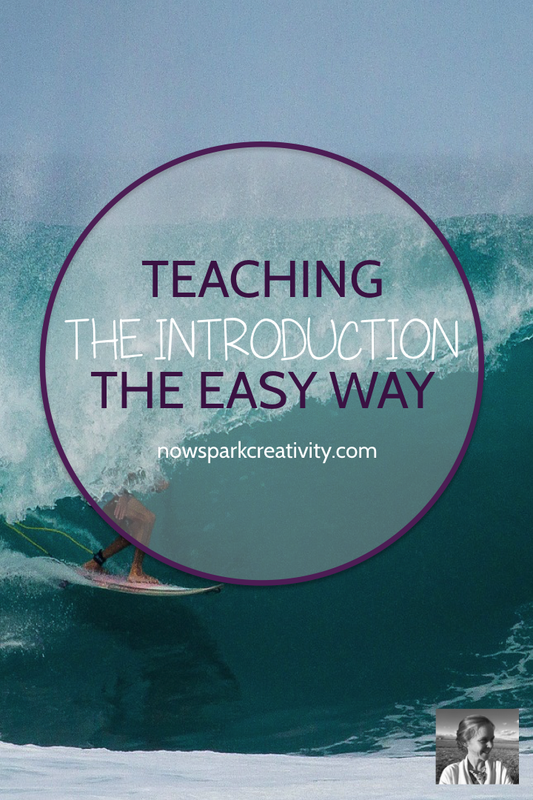 In my experience, teaching students to write a clear introduction is the end all be all of the formal paper. By the time they are done with the introduction, the rest of the paper should just about write itself. I teach the introduction in a few easy chunks. 2. Remembering to mention the author(s) and title(s) of the work you are discussing. 3. The thesis, which MUST be ARGUABLE. While most people know about the rest, it is the organizing sentence that makes all the difference. With this one short sentence, students define the whole rest of their paper. They must figure out what their major points are and lay them out in order here. I've developed an organizer to help with this. Once they have come up with a thesis and an organizing sentence, the introduction is virtually written. I walk them through the whole process with my fifteen page introduction packet. 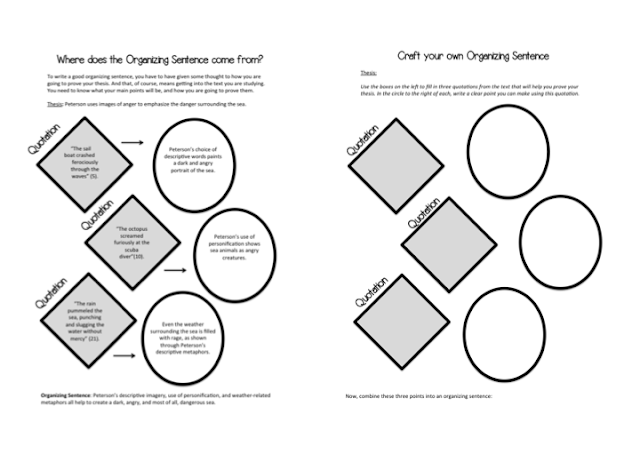 It has several graphic organizers, plus information on all the elements of the introduction and lots of practice handouts. Plus, a bonus at the end for your advanced students, showing how to move past the basic blueprint when they are ready. You can find it in my TPT store here. From one reviewer: "I wish you had been my teacher back when I was a student." If you're like me, and eager to spend some of your time on creative pursuits once your students are humming along with their formal writing, I really hope you'll go get this packet! I used this basic formula all the way through my successful graduate career, and it never failed me. It will save your students so much angst and writer's block, and it will save you so much grading time.